Walk by Kaufman Hall and you’ll notice a brand new 1,400-square-foot greenhouse on the outside of the building. Here, faculty and students representing disciplines from biology and chemistry to earth sciences and environmental studies work side-by-side. Interdisciplinary studies like this are the norm. This kind of thinking informs our view on sustainability. We understand everything is interrelated. Every action has an effect, and by making these connections we find opportunities to bring about change. 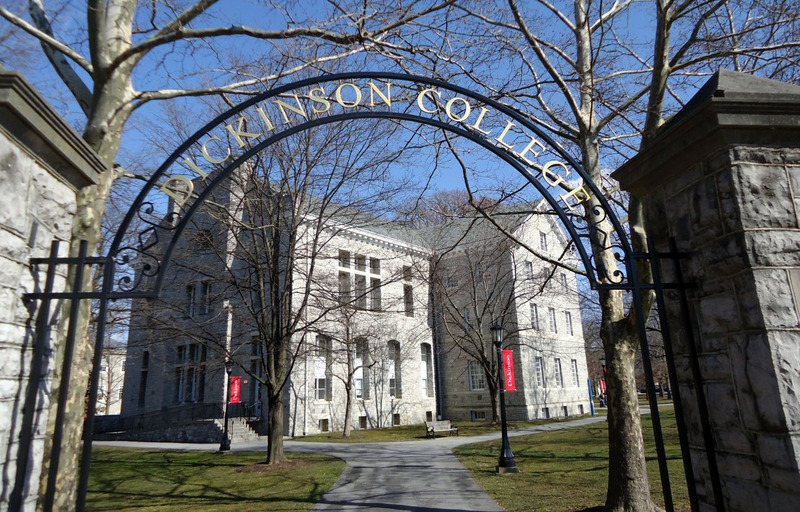 At Dickinson, we’re working to create a world that is socially, economically and environmentally sustainable. And it’s evident everywhere you look on campus. From the Center for Sustainability Education (CSE) and the Dickinson College Farm to the student-created Biodiesel Program and the scarcity of paper coffee cups, we’ve integrated sustainability across our curriculum, incorporated it into our student living experience and made it part of our global programs abroad. Sustainability isn’t just an idea—it’s at the heart of everything we do. CSE promotes learning and action for creating a sustainable world through classroom study, research, co-curricular activities and civic engagement in campus greening and community service. Learn more. Students and faculty use the buildings, grounds, operations, natural resources, culture and community of the college as places and objects of inquiry and experiential learning. Find out what we are doing! Living Laboratory. Learn more about our sustainable campus operations, innovative student leadership, energy- and waste-reduction programs, sustainability research and education, organic College Farm and sustainable living through this interactive virtual tour. Dickinson students engage in the problems of natural-resource depletion, poverty, hunger, injustice and insecurity in Carlisle and around the world through our Center For Global Study & Engagement programs in sustainability.